Many thanks to our guest blogger Nandini Dey (political science, Krieger School of Arts & Sciences) for contributing these delicious Indian dishes, and a bit of history behind them! ‘Tis the start of the jolly season, signaled by the trees outside of the library on Keyser Quad being lit up, Have Yourself A Merry Little Christmas playing in Brody Café, and with plans being made to visit Hampden’s 34th Street. For many of us away from home, this time might bring with it nostalgia, memories, and wishing for comfort food from home. Now, there’s no such thing as ‘too many pies,’ but if you’d like to try something new this festive season, I invite you to consider some festive recipes from India—if for no other reason than that Indians really know how to celebrate and they know how to pack a punch in a blend of spices. Before you peruse the list below, know that no one thing constitutes Indian food. ‘Curry’ and ‘Chicken Tikka Masala’ are actually British dishes (the latter was invented in Glasgow! ), and depending on which Indian you speak to, you will get a different answer for what counts as ‘Indian’ cuisine. Here’s a book that’ll help you learn more about the history of food, spices, feasts, and festivities in India. 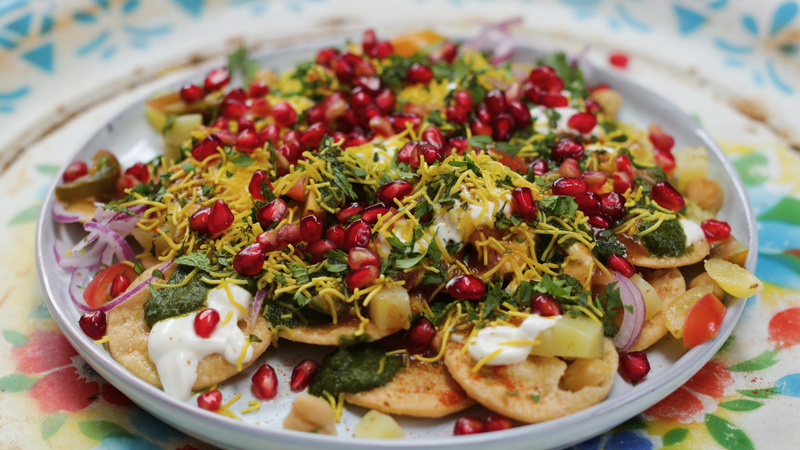 Following is just a tiny and mixed sampling of foods from India, consumed during different festivities, weddings, religious occasions, or simply on a night in different regions of India. Mathri: A beautiful, spiced, flaky biscuit that originated in either/both in Rajasthan or/and Punjab, depending on who you ask. Papri Chaat: An all-time favorite street-food dish, this can be modified to cool you down in the summer or warm you right up in the winter. Dal Baati Churma: A complex-but-worth-every-step recipe, this typical Rajasthani dish is ideal for a cold, gloomy day. Dum Aloo: Served with either rice or bread, this dish is made differently in different parts of the country, but the Kashmiri version is ideal (and spicy!) for the winter. Onam Platter: This is a whole meal by itself, served during the festival of Onam in the state of Kerala. What a feast—and excellent for vegetarians! Sarson da Saag: A dish made with the leaves of the mustard plant and served with bread made of maize flour (makki ki roti), this delectable Punjabi fare is a classic treat, and a definite crowd-pleaser (not that I’m biased or anything). Biriyani: This is the big one. 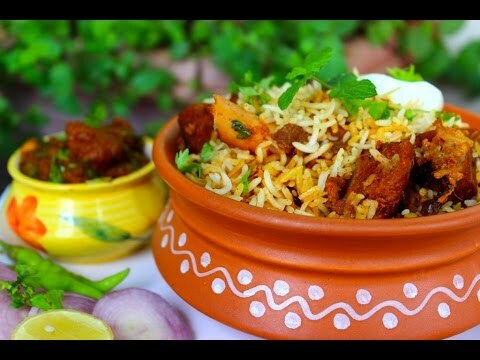 Indians love their biriyani, but careful –they have opinions about it. With no one ‘authentic’ recipe, biriyani combines meat, rice, and some choicest spices to make a dish that will keep you coming back for more. Payesh: Also known as kheer in other parts of India, payesh is a traditional rice pudding from Bengal. It can be consumed warm or cold. Gajar ka Halwa: Predominant in the north, but loved across the country, this carrot- (gajar) based pudding, like any good dessert, is not at all as healthy as it sounds. 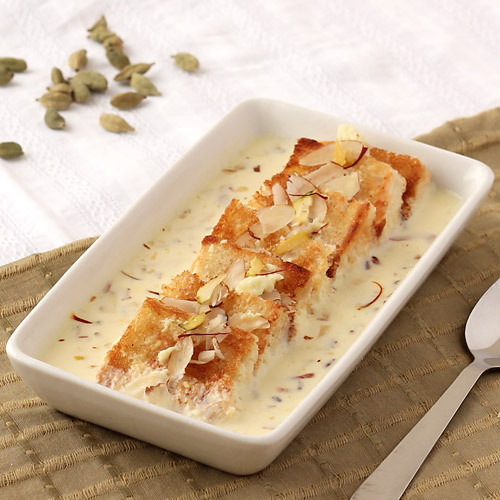 Shahi Tukda: Loosely translated as a type of bread pudding, this dessert that originated in the Middle East and has been through several adaptations over time is another classic, a perfect end to any meal.